For many of those not familiar with motorcycling history, the term Café Racer means very little. However, for British motorcycling enthusiasts around London and Watford in the 1950s and 60s, being involved in the Café Racer movement meant speed, adrenaline,status and rebellion. The term developed naturally as riders began to congregate in cafés, specifically ones serving hot coffee and loaded with a jukebox blasting rock ’n’ roll. Riders would challenge each other to races, typically from one café to another. However, legendary tales of racing against a record on the cafés jukebox are not unheard of: the objective was to get to a predetermined location and back before the song finishes, proving your bike capable of reaching 160 km/h, known as ‘The Ton’. Café racers would need to spend time and money heavily modifying their bikes if they were attempting to get anywhere close to 160km/h. Fortunately, the motorcycle industry was booming, due mainly to the big British presence in motorcycle racing, and at the time bike enthusiasts had plenty of aftermarket parts to choose from. The magic of this time played high significance to the worldwide design of modern bikes. ‘Café Racer’ eventually became coined as the term used to describe the design and characteristics of bikes influenced by this era. Minimalistic, distinctive ergonomics, lightweight and optimised for speed, the café racer has become a timeless classic with many of the biggest companies in motorbikes still adding their twist to the classic design. Most recently Husqvarna have paid homage to the café racer design of old. Their new Vitpilen 401 and 701 reflect the traditional heritage of café racers in a simple, rebellious and futuristic modern design. 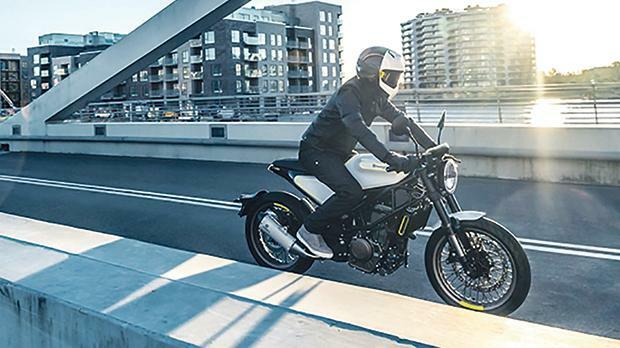 Showcasing Husqvarna Motorcycles’ pioneering progressive vision of Real Street motorcycling, while harnessing their Swedish roots in simplicity, style and function. The Vitpilen bikes have been attracting attention from the motorcycling world ever since the futuristic concept was showcased at EICMA in 2015. Since then it’s been a competition on who can get their hands on the bikes first. Released only earlier this year, the bikes have been heavily praised by critics for their aesthetics, handling, overall design and originality. Like café racers of old, the Vitpilen family captures the timeless thrill of the raw authentic ride. Fapi Motors is the local distributor of Husqvarna motorcycles in Malta. Visit the Husqvarna showroom in Mdina Road, Attard or e-mail info@FapiMotors.com for more information. One can also follow the Husqvarna Motorcycles Malta Facebook page to keep abreast of the latest updates. Fapi Motors is a Mobility Business Unit within Famalco Group/Building Businesses.